The Zeiss 50mm f/1.4 ZE for Canon is a manual focus only lens that is effective in eliminating aberrations and supports high definition and contrast. It has an almost vintage feel to it and the metal-ribbed focus ring is easy to grip and moves smoothly. It has a relatively long throw for precise focus changes. Note that the lens barrel extends very slightly during focus (but does not rotate, making it still suitable for circular polarizers). 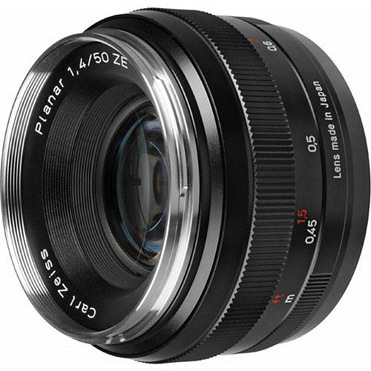 This lens is good for portraits and street photography.